Suggest that your little girl team a charcoal coat with navy dress and her cute factor will be off the roof. As far as footwear is concerned, suggest that your darling opt for a pair of dark brown ballet flats. Suggest that your little fashionista wear a grey cardigan and a grey plaid skirt for a glam and trendy getup. This style is complemented wonderfully with SoftWalk narina dark brown kid suede ballet flats. Suggest that your child opt for a dark brown sweater and a yellow tulle skirt for a glam and trendy getup. This style is complemented really well with dark brown ballet flats. Choose grey plaid dress for your kid for a glam and trendy getup. Dark brown ballet flats are a wonderful choice to complement this outfit. This combo of a grey jacket and a grey skirt is both a comfortable and stylish choice for your tot. 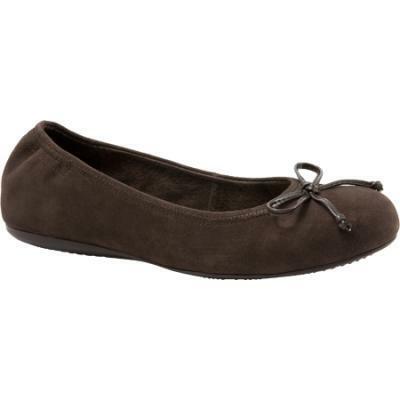 SoftWalk narina dark brown kid suede ballet flats from Shoebuy are a smart choice to complement this outfit.